I went to San Francisco a couple of months ago and to Washington D.C. at the beginning of May. In both instances, I picked up a Stephen King book to tide me over for the trip. 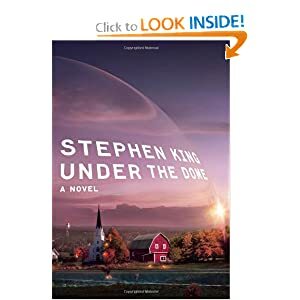 In San Francisco it was Under the Dome on my Kindle. In D.C., I had forgotten the book I was reading at home, and picked up a hardcover of Duma Key at Barnes and Noble for $6.98. Both books are similar and both are excellent reads. King has always been one of my favorite authors, from Needful Things and Pet Cemetery, to The Dark Tower series, which ranks right up there with The Lord of the Rings for me. King did not disappoint with either book. Perhaps they aren’t for every reader, but they hit the spot for me. The books are long on words and on detail, but not always long on plot. With Duma Key, the thrust of the story didn’t really start until the 400th page. But it made sense and I was more than OK with it, I thought it was perfect. King has a rare gift for drawing a reader in with the mundane. He makes the ordinary extraordinary. Under the Dome presents a simple and unnatural premise. What would happen to a town if it was suddenly completely cut off from the rest of the world? In the story, an invisible dome crashes down around a small town in Maine. King makes it seem like something that happens every day, and commences to follow the inhabitants of the town as their world shrinks and the good and evil in ordinary people is magnified. Duma Key follows a man trying to rebuild his life after a catastrophic accident. He ends up on a small island in Florida, where he begins to paint. His paintings are good, perhaps even better than good. And they are powerful. 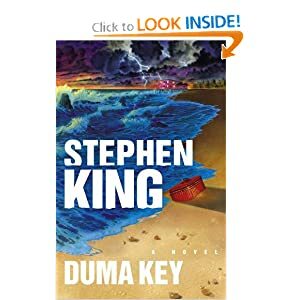 Edgar Freemantle meets a few people on the island that he befriends and the mystery, magic, and evil that exists in Duma Key unfolds before them. King accomplishes almost the opposite in this book. He makes the extraordinary seem ordinary. He also has a penchant for targeted one-liners at the end of his paragraphs that foreshadow a horrible event and compels you to continue. He is the King of the foreshadow. p.s. – Read them on a Kindle! The books are huge and aren’t great for reading in bed. Also, with a Kindle, it’s much more difficult to jump to the end of the next page and find out what is going to happen. I seem to do it all of the time!